* Iranian Fauxtography: Now, THAT’s What I Call Iranian Fauxtography! Over the last few years, a "Fauxtography" epidemic has been steadily infecting the reporting done by many different news outlets. From the infamous Reuters Passion of the Dolls scandal in 2006, to the numerous fake Monster Pig photographs initially verified by the Associated Press and Fox News, it is clear we are living in an age when seeing is no longer believing. Stinky Journalism's Nathaniel Janis recently had the chance to sit down with Jim Hoerricks--forensic analyst with the Los Angeles Police Department--to discuss ways to identify such photos when they appear, and other issues relating to digital photograph manipulation. Nathaniel Janis: Could you describe what you do as a forensic video analyst for the Los Angeles Police Department's Scientific Investigation Division? Jim Hoerricks: It's a pretty straightforward job description. As far as digital, analog, or any multimedia-type evidence goes, whether it be crime scene, CCTV footage, or audio recordings or surveillance that's done by officers - it comes through our office, and then it gets processed either for comparison or straight out for the media. If they're looking for just a cell image to put on a flyer, or as part of an Amber Alert, there are a lot of different things to do with the video. After that's taken care of, the audio side needs to be clarified and cleaned up so you can hear what's going on. Finally, we may have to complete certain tasks like identifying a face, license plate, distributing the video to the media or a patrol unit; that sort of thing. NJ: What would be one of your most common or typical objectives when you're looking at a video from a crime scene? What do you normally have to determine? JH: We mainly focus on identification of an individual or an object; you know, did subject A do this? Is this subject A? Does the person in the video or the image match the person that we think did it? Or can we get a license plate? Or if we can't see the person's face, is there anything identifiable about the person or the object that we can get out there to the public, whether through the media or crime bulletins internal? NJ: You've been significantly involved in many projects - including a book and a website - devoted to Adobe's Photoshop program. How did you begin working with the program, and what makes Photoshop and other digital photo applications so valuable and widely used as forensic tools? 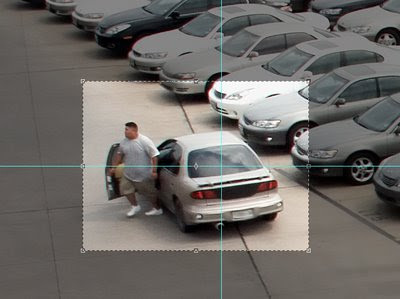 Continue reading: Catching Criminals with Photoshop? Source: Catching Criminals with Photoshop?